Interfilière Hong Kong trade show is organized by Eurovet Asia LTD.
a subsidiary company of Eurovet SAS whose headquarters are in France (referred to below as “Eurovet”). Entry to the trade show is limited to visitors who are professionals in the textile and apparel industries. Visitors who wish to attend the TRADE SHOW must provide the information requested by the organizer. The visitor agrees that the information provided shall be exact, complete and up-to-date. The visitor confirms having understood and accepted the current regulations without restriction or reservation in order to complete his or her registration request. 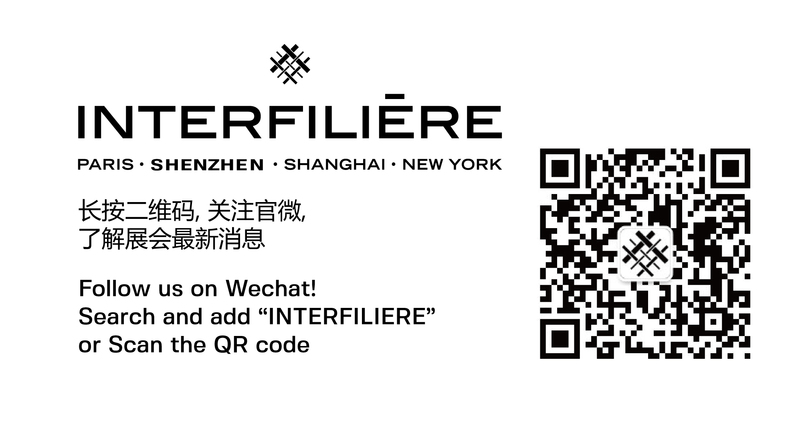 The admission price to the TRADE SHOW is established by EUROVET and may be found online at www.interfiliere-hongkong.com or on the appropriate signs at the TRADE SHOW site. Upon payment of the registration fees if applicable, EUROVET will mail or email an entrance badge to the named registrant at the postal or electronic mail address indicated on the registration form. Entrance badges are strictly personal and may not be reproduced, sold, loaned or transferred in any form or manner whatsoever. Admission to the trade show is prohibited to any visitor offering products and/or services of any nature. this prohibition applies to the entire trade shows site (parking, welcome area, etc.). Visitors who are engaged in professional activities identical to or related to those of the exhibiting businesses, and who offer products and/or services likely to compete with these exhibitors, may still enter the trade show for a registration fee. Visitors must present proof of identity and professional status when entering the trade show. Visitors may be asked to show these documents at any time for control purposes; and they are needed to enter the TRADE SHOW. The personalized admission badge must match the identity and professional function of the person wearing it. All visitors circulating within the boundaries of the TRADE SHOW site must wear the badge which were assigned to them at the TRADE SHOW entrance or sent to them previously. Prior written approval is required to bring onto the TRADE SHOW site any equipment capable of capturing images (cameras, digital cameras, smartphones, etc.). Without said authorisation, the visitor is forbidden to take or produce any photographs, films or audio recordings in any form whatsoever. It is also forbidden to infringe upon the tangible or intangible property rights of the TRADE SHOW exhibitors and of EUROVET. The TRADE SHOW being a public event, the visitor accepts that EUROVET may create and publish photos, films and visuals representing the TRADE SHOW in all communication media or formats to promote the TRADE SHOW. The information received by EUROVET will be electronically processed as part of the organization of the TRADE SHOW. In accordance with the french data protection act (Loi informatique et Libertés) of 6 January 1978 the visitor will have the right to access and correct the information concerning him or her. The visitor who has completed his or her registration acknowledges having read and accepted the present internal regulations without restriction or reservation. EUROVET reserves the right to temporarily or permanently refuse access to the TRADE SHOW or to remove from the premises any visitor who does not comply with the conditions set forth in the present Regulations, or whose behaviour disrupts the orderly process of the TRADE SHOW. If necessary, the organizer can call upon the forces of law and order. In the event a visitor is removed or refused entry to the TRADE SHOW, because of a violation of the present Regulations, the registration fees will be retained by EUROVET. EUROVET also reserves the right to prosecute the visitor for compensation of any material or non-economic damage that may have occurred. Visitors are responsible for the damage that they cause to products, objects and exhibitors’ materials, particularly in case of fire, theft, lost or other deterioration, and including unforeseeable circumstances and force majeure. EUROVET cannot be held responsible for the loss, theft or deterioration of visitors’ goods. In case of dispute, French law is the applicable law and the courts and courts of appeal in the Nanterre jurisdiction are the only authority. You wish to request an appointment with the brand « Regulation ».